Everyone loves cupcakes! Treat your someone special with a batch of cupcakes handmade with love! Leave the decorating to us – this adorable Sweet Valentine Cupcake Set comes complete with cupcake picks and two-toned muffin cups. Add a few Jumbo Heart Quins to complete the look. Attach quins with tweezers for precise placement. 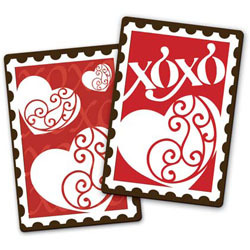 Picks come in two varying designs, hearts and cupids. Muffin cups come in two varying colors, light pink on dark pink floral and dark pink on light pink floral. 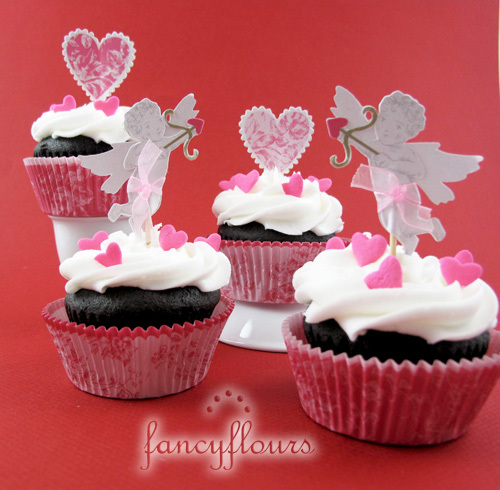 Shop fancyflours.com for all your Valentine baking needs! 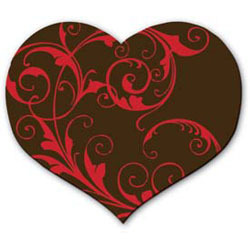 View all of our Valentine’s product by clicking HERE. Try a new decorating technique with these cool cookie texturizing kits. Each kit comes with one cookie cutter and assorted texturizing mats. Fun, detailed designs leave either an impression or an embossed look – depending on which side of the mat you decide to use. 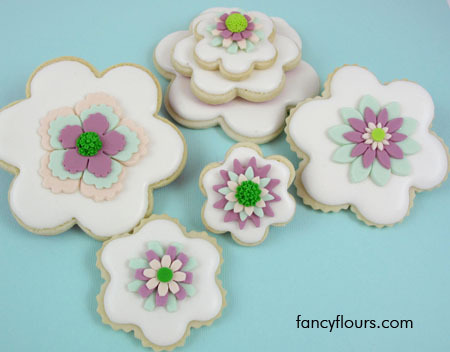 They are very simple to use; just cut out your sugar cookies as usual and then before you bake, press the mat onto the top of each cookie to get the desired design. Bake and cool as usual. You can decorate with or without royal icing and either use colorful food pens (like we did above) or luster dust to create a shimmery effect. Or try decorating each flat cookie with buttercream frosting, wait until it starts to set and then press the mat into the buttercream to leave an impression in the frosting. 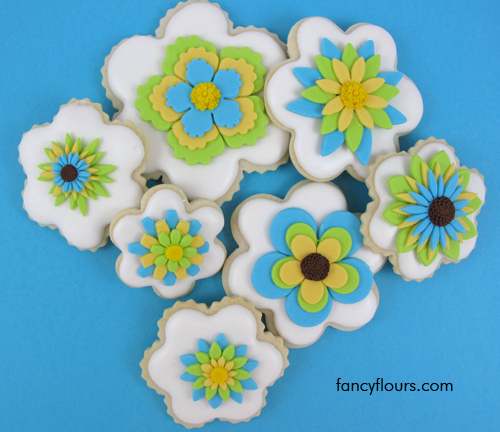 A fun and easy way to achieve fabulous looking cookies. The kids will enjoy using the mats too! Kits are available in Whimsy Topsy Turvey Cake (perfect for birthdays), Heart, Wedding Cake or Baby Onesie designs at fancyflours.com.